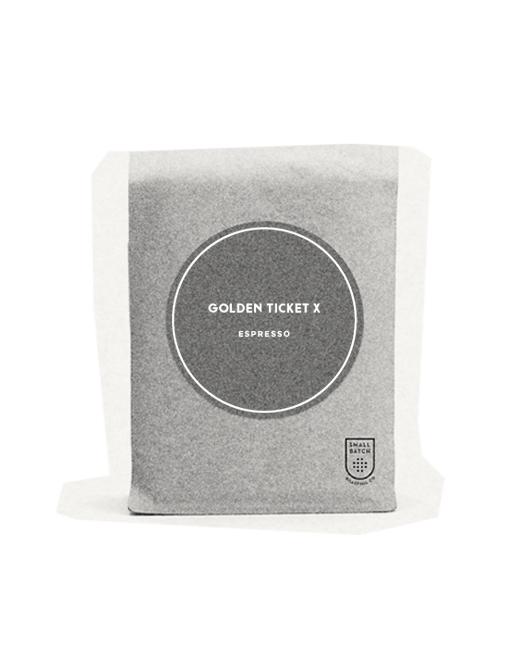 Golden Ticket X – Espresso | Small Batch Roasting Co. 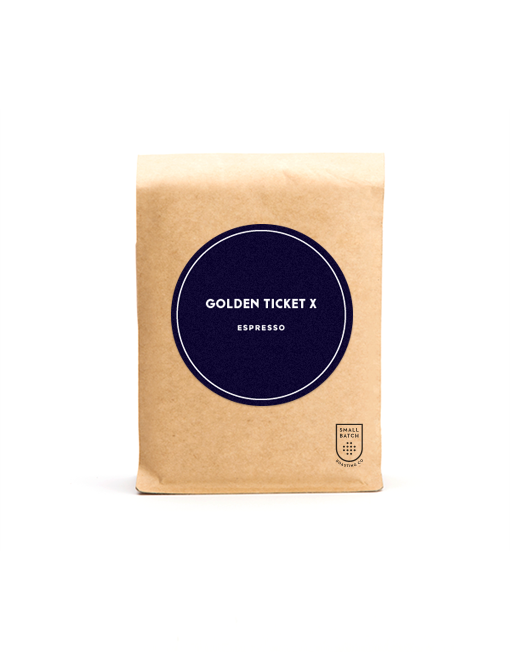 Simply put, the premise of Golden Ticket is to combine coffees of high character and great deliciousness in such a way that the whole is greater than the sum of the parts. This essentially allows us to celebrate more of our favourite coffees (that additionally may have a small lot size), finds a nice middle point between “single” and “blend”, and sets us a great QC challenge to make an interesting and different product to Candyman that fluctuates more over time (as the components change more frequently). Just to re-state this: Golden Ticket will have has less focus on “balance” and consistency of flavours per se, and more on short run, special with high character. The espresso version also has the requirement to have great presence in milk.